The headline of this post is not mine, but Dr. Uffe Ravnskov´s, specialist in internal medicine and medicinal nephrology. He is probably one the professionals, who has spent most time to research and raise questions about this health providing stuff, this phenomenon and topic, cholesterol. And one of the few, who actually document´s his information. This is quite remarkable and very different from many other doctors, who without even blushing gladly talk about something, they don´t know much about. Such as nutrition. Fortunately there are a few exceptions, but sadly, in the medicinal business, there is no tradition that urges to ask critical questions about presumptions already agreed on, like in other academics such as physics, astronomy or even archeology. Oh no – in medicine people use quoting from generation to generation. If one “truth” about nutrition is spoken, this is it, and it is repeated endlessly without any critical questioning. Strange as it seems, today no doctor is educated seriously in this topic on the medicinal faculties. The few doctors who really know something about nutrition, like for instance Diet Doctor Georgia Ede and the inventor of the GAPS Diet Natasha Campbell-McBride are educated elsewhere. This fact makes it peculiar, that so many medicinally educated gladly speak up in various media about something to do with nutrition, as they havn´t taken the time to check what they are talking about. Even more peculiar it is that journalists gladly ask people, who are not educated properly in what they are on about. 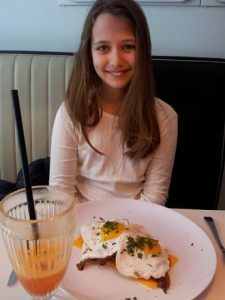 In December 2018, on a very big website, the Danish national broadcast company Danish Radio, dr.dk we could read an article in which a Danish researcher repeats, how dangerous and unhealthy it is to eat saturated fats and that cholesterol is bad for you. The article was in many other other ways full of weird beliefs and conclusions, so I´m glad to see that it is now removed from the site. However, I dare not think about the amount of readers who had time to read it, and who actually believe what they read – why shouldn´t they, it was a doctor who spoke. But it was a repetition of what we have heard soooo many times. We readers were again told a full fat lie about saturated fats. In 2018! 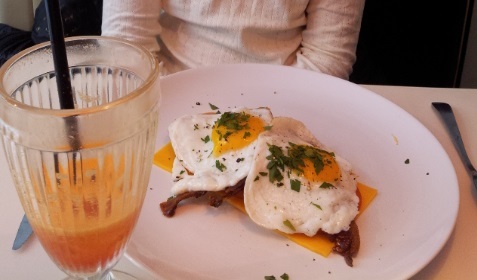 The conclusion is, that you can enjoy your scrambled egg as well as your lamb- or pork chop (free range, please) – food, our ancestors have eaten for millennia without them getting today´s life style diagnoses. 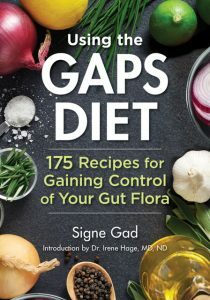 As animal fats are highly recommend on the GAPS Diet, I discuss this rather provoking topic more in the introduction of Using the GAPS Diet Cookbook. Here I also give several references to people, who know what they are talking about. PS Just to your info: Pork fat is just as mono-unsaturated as it is saturated. Mono-unsaturated fats are a main part of olive oil. Why this oil is officially highly recommended for cooking, while at the same time pork fat is put in the corner is a mystery. Where is the logic?